At Compass & Anvil we are dedicated to producing the highest quality parts and components for your company. When dealing with new designs and complicated manufacturing, we approach each project with care and attention to detail. The following case study is one example of a part that required a creative solution to a difficult problem. In this particular case, we worked on a metal casting for a company that manufactures farm and industrial equipment. Problem: The cast metal part broke under pressure. 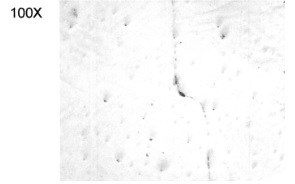 An analysis of the microstructure of the part revealed a perlite (dark), blocky ferrite and Widmanstatten platelets of ferrite. 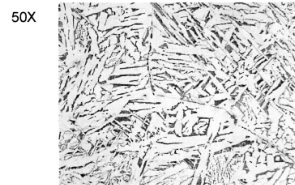 This microstructure is consistent with the “as cast” condition. 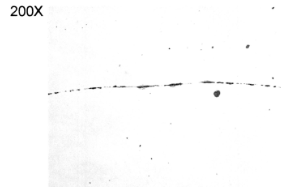 Observation of the un-etched microstructure at 100x and 200x reveals the presence of long non-metallic constituents running at several directions. 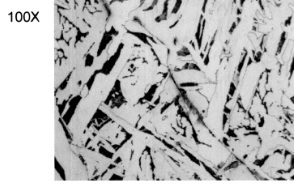 It appears that the non-metallic constituents could be prior austenite grain boundaries within the ferritic matrix. 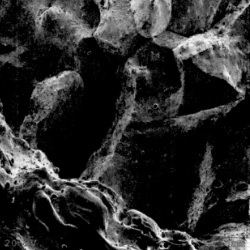 Scanning Electron Microscope (SEM) images of the fractured face. 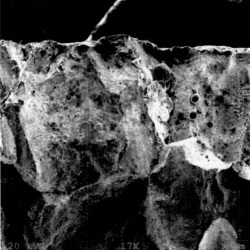 The fracture is mainly inter-granular with some evidence of ductile morphology. The fractured face is consistent with a brittle material with minimum ductility. Fe Iron Bal. Bal. Bal. The material properties were affected by the lack of thermal heat treatment. The “as cast” microstructure morphology is not the most appropriate condition of castings. The solidification gradient and multiple cast grains and acicular micro constituent results in a brittle and fragile material with low ductility and low Ultimate and Yield Strength. Our findings helped us make the decision to improve the grade of steel and alter the microstructure through a quench and temper. Through this process, we were able to ensure that this part was produced to last. Let us draw on our expertise to help you with your production issues. We have the experience to work through a wide variety of the problems commonly associated with metal castings, stampings, extrusions, forgings and more. Contact us today for more information.